Repairing hard drives is a mix of art and science, combining talented recovery engineers along with proprietary software and a few other high-tech utilities and utilizing them to recovery data from most any device. Read/write heads are tiny sensors that read and write data to and from the platters. 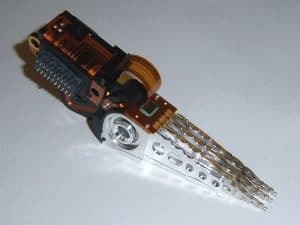 The higher the capacity of the hard drive, the more read/write heads the hard drive will have. 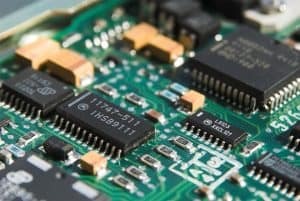 The PCB (Printed Circuit Board) allows electricity to pass between various components that allow the hard drive to operate normally. You will find the PCB when you flip a hard drive over, usually green or blue in color. The high rotational speed of a hard disk’s platters generates the thin cushion of air that keeps your hard drive’s read/write heads afloat. 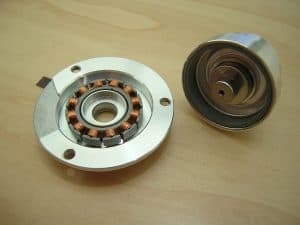 All of this happens because the hard drive spindle motor dutifully does its job. Platters are thin, circular discs made of glass or aluminum inside the sealed hard drive enclosure. Each platter surface is coated with an extremely thin magnetic substrate that stores the user’s binary data in the form of a magnetic field. Firmware is the storage device’s operating system and can become corrupted and require repair. Hard drive failure are not always mechanical. Logical corruption can render a hard drive as useless as one with a dead spindle motor. “Flash” media stores data quite differently from the way your hard drive does. 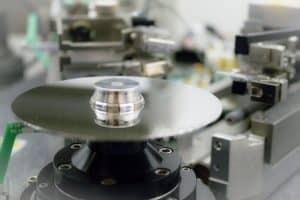 There are no spinning disks or moving parts that store data magnetically; instead, the data is stored electronically on nonmoving chips of non-volatile RAM. When you plug a USB flash drive into your computer or boot up a PC that runs on a solid state drive (SSD), what you see on your computer looks the same as what you’d see on a hard disk drive. However, the way NAND flash memory devices store data is very, very different on a fundamental level. 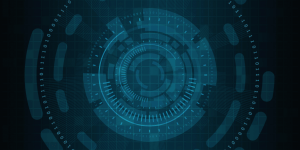 Whether you have a broken hard drive or a thumb drive with a broken tip, Gillware has the tools and engineers to make the necessary repairs to get your device up and running in order to get the data off the device. Use the buttons below to either start the process of sending in your device or to get a free estimate. Need data on a broken hard drive? Let Gillware repair the drive to get that data back for you.